Win a WWE StackDown Universe - StackDown Ring Set with 3 Figures from Flair worth £39.99! The WWE StackDown Universe is the battleground where all the Superstars brawl to become the WWE StackDown Champion! in this world, YOU have the power to Build and Brawl! The ring is where the champion claims his title, with over 349 pieces, you can construct the ring following the directions or customise in your own way! 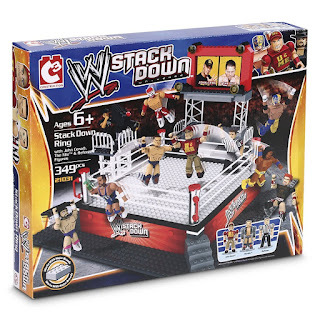 Whichever way you choose to build the WWE StackDown, the action is there! Comes with John Cena, The Miz and Referee. Each figure has multiple points of articulation. 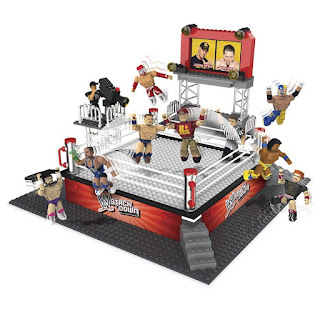 With individual themed parts, including working ring and ropes. Compatible with other StackDown playsets. Compatible with other major building brick brands.